They just welcomed son Gunner just six-months-ago. And Spencer and Heidi Pratt looked like quite the happy family while fetching organic groceries at Erewon market in Santa Monica on Wednesday. Snapchat favorite Spencer, 34, couldn’t help but plant a sweet smooch on his wife of nearly a decade, 31, as he carried their pride and joy in his arms while out. Heidi carried a cup of iced coffee out of the upscale grocery store, making sure she had enough energy to take on the day. The Hills alum looked like a model mom as she covered her surgically-enhanced bosom with a pink V-neck layered under a white cardigan. Simple ripped jeans and white sneakers rounded out the Colorado native’s look along with a long ponytails flowing down her back. Ever the loving mother, the reality star gave her little guy’s tiny hand a smooch. Besides her, hubby Spencer looked California cool in a tee-shirt and shorts while holding son Gunner, who looked cute in a white tee, grey pants, and cute sneaker-socks. The Princes of Malibu persona did the heavy lifting, passing off the baby to Heidi so he could sling almost half-a-dozen grocery bags over his arm while also holding a pizza box in hand. 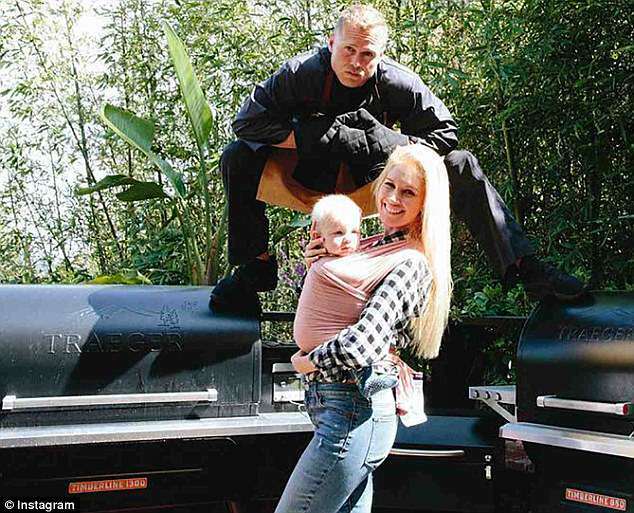 Speidi, as they’re affectionately known by fans, were thrilled to welcome little Gunner into their lives when he was born on October 1 2017. 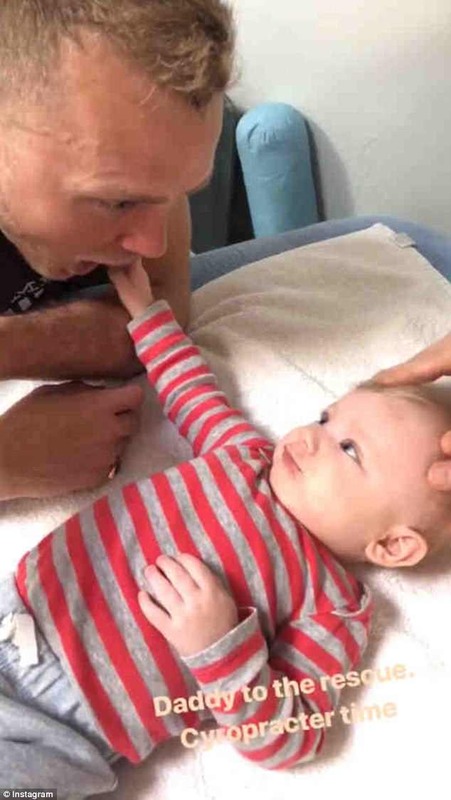 Pratt opened up with People about how fatherhood completely changed his outlook on life on Wednesday, saying: ‘My favorite part of fatherhood is seeing a baby so innocent. ‘Until you watch a human being born and watch a little baby growing and learning how to smile and waiting for a baby to giggle … it’s definitely made me enjoy humans more,’ he even admitted. Spencer and Heidi began their romance in 2007 after being introduced on The Hills and eloped in Mexico on November 20 2008.